Originally from Edison, NJ, Linda relocated to the Upstate with her family 15 years ago and has made SC her home. She enjoys the rich outdoor living this area so freely affords through its lakes, mountains, waterfalls, hiking trails, and parks. Her two children attend Clemson University, and enjoy the innovative environment. With 35 years of experience and expertise in ownership and management of various businesses, she has been involved with the real estate industry in both property management and residential real estate sales for the past 13 years. 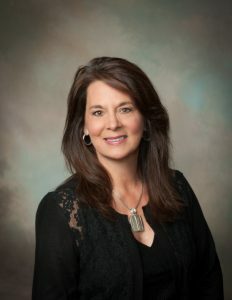 She was the first in the Upstate to receive the certification of (MRP) Military Relocation Professional, helping military families relocate, as well as access all the benefits afforded to them. As a volunteer, Linda has focused on serving people; something she believes in whole-heartedly. Linda focuses her practice on Lake Hartwell and Keowee for first-time buyers, relocations, and general residential real estate needs. She loves working with people to move their families into the Upstate by pulling from her own personal experience, as well as her countless experiences with former clients. Linda approaches real estate with an extensive knowledge of the area. Utilizing her own personal touch. To her, honesty and integrity is what she strives for with every transaction. She enjoys guiding clients not only in the purchase or sale of a home, but also in taking full advantage of all the Upstate has to offer. **We contacted Bob Hill to list our home based upon the success our neighbor had several years ago. Bob referred us to Linda Farkas which was a blessing. Linda was able to have us under contract in less than 3 weeks! As a former Sales Manager I appreciate Linda's great communication skills, attention to detail and put "us" first attitude. She is truly "customer driven" which is a rarity in today's market. Not only did we have a great salesperson we've also found a friend. We can't thank Linda and Bob Hill Realty enough. PS. Although our home is sold Linda continues to remain in contact. **Linda sold our 60 acres in a matter of 2 months. She looked out for our best interest as sellers. She took a lot of pressure off us as sellers. She did a magnificent job against odds that the buyer was out of state. She is very knowledgeable of the real estate procedures and law. We will definitely use her as our primary Real Estate Agent in the future. A really great person to work with and very personable. **Linda went above and beyond not only helping us find our dream home but working long and hard afterward to remedy a previous appraisal issue. She is patient, always responsive, extremely knowledgeable about the area and a complete professional. We went into the process looking for a trustworthy Realtor and found a lifelong friend.